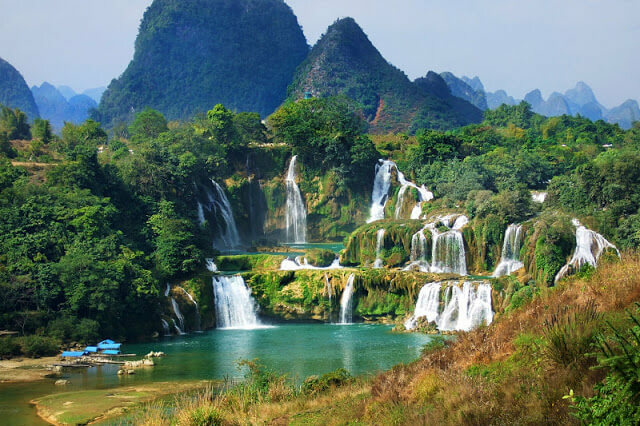 This tour allows you to discover the northern part of Vietnam with magnificent landscapes. 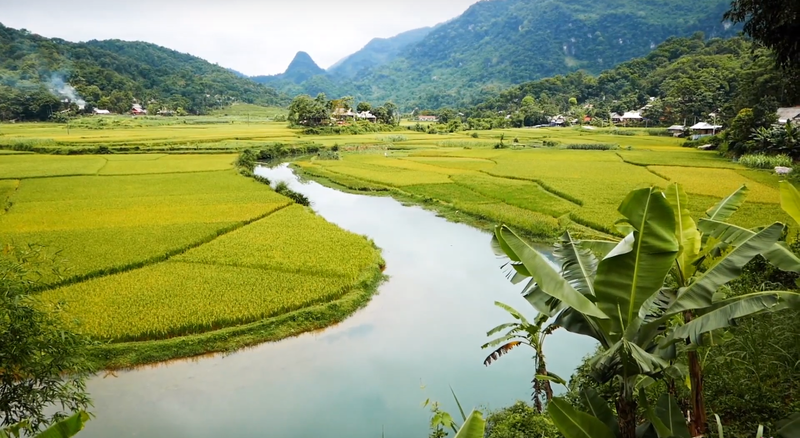 You first go to the beautiful valley of Mai Chau village which remains uncrowded and still keeps authentic and distinguished tradition. There you will have the opportunity to hike to discover the beautiful mountain scenery, visit remote villages, meet ethnic groups, admire the authentic local life and immerse yourself in the rhythm of inhabitants’slife. 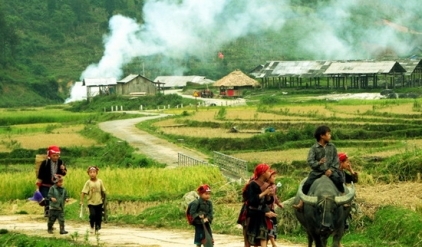 This tour then takes you to Pu Luong Nature Reserve, a mountain range located south of Mai Chau. Pu Luong has a bushy forest, beautiful rice terraces and breathtaking scenery. You can appreciatewild nature, visit the villages which are shelters of ethnic groups and discover their customs. 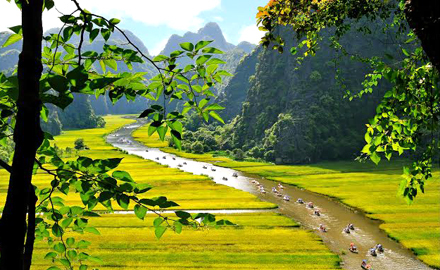 You continue this journey to Ninh Binh nicknamed "Halong Bay in land" with many limestone hills and tunnels dug by erosion. You will enjoy beautiful naturewhen being in a rowing boat through among rocky peaks. The focus will undoubtedly be on an unforgettable cruise in Halong Bay, a World Heritage Site by UNESCO with spectacular seascapes of limestone pillars emerging from emerald waters. 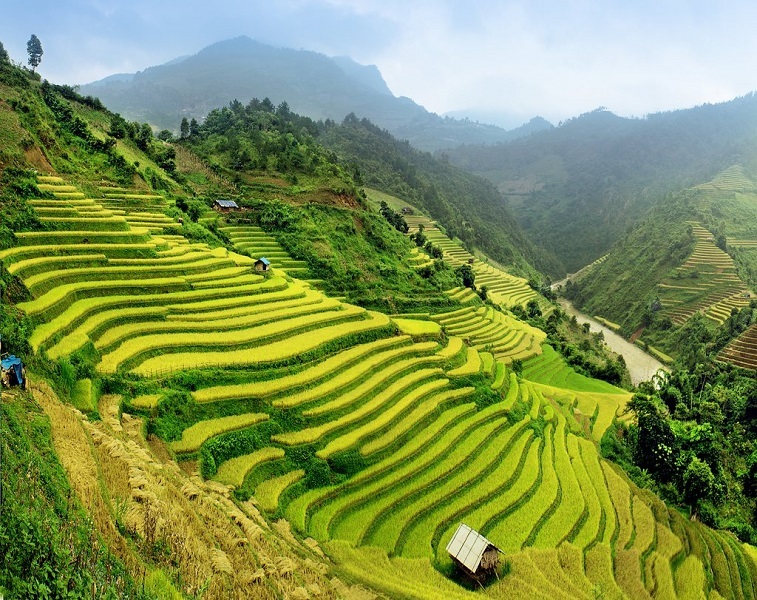 08:00: English speaking guide and driver pick you up at your hotel in Hanoi, depart to Mai Chau (140km-4h drive), passing the beautiful landscapes of rice terraced fields, sugar cane fields and ethnicvillages. You will arrive at Poom Coong hamlet around noon. After lunch with local food (vegetarian meal available), trekking to visit Pom Coong hamlet with vegetable gardens, fish ponds, stilthouses, rice paddies and discover the Thai’s daily life. Continue your 3-hour trekking in Pu Luong Nature Reserve before reaching Hangvillage. Dinner and overnight at a Thai stilt house in Hang Village. Around 8:00, you start a trekking about 5-6 hours passing through some steep slopes and streams to reach a place that gives you beautiful views of the valley, rice terraces and forests. Picnic lunch on the way to Eo Kenhamlet. Arrival at Kho Muong hamlet nestled between karst mountains and beautiful rice terraces. Dinner and overnight at a stilt house in Kho Muonghamlet. Homestay breakfast in Kho Muong. Your trekking today will last about 3.5 hours before arriving in Pho Doan, where you will have the opportunity to visit its Sunday market. Lunch at a local restaurant in Pho Doan before transferring to Tam Coc in Ninh Binh province, which is called "Halong Bay of Land". Overnight at hotel in Tam Coc. 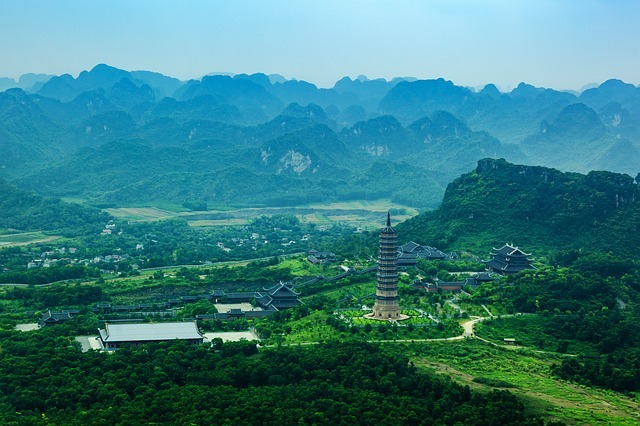 Full day to discover Ninh Binh, one of the most famous sites in Vietnam, also known as "Halong Bay" with many limestone hills and tunnels dug by erosion. 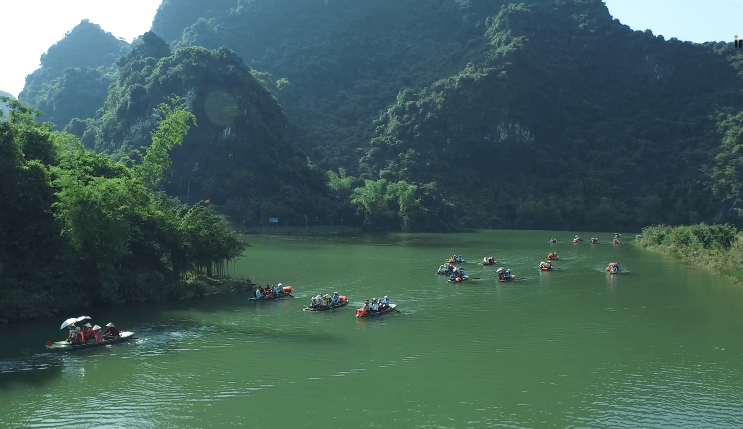 Enjoy a 2-hour sampan ride through the rocky peaks of Tam Coc. Then bike tour (note: bus transfer for those who do not want to ride a bike) to the Bich Dong pagoda (2km) located on hillside. Continue the bike ride to Hoa Lu - ancient capital of Vietnam in the 10th century to visit the temples dedicated to Dinh and Le Kings. 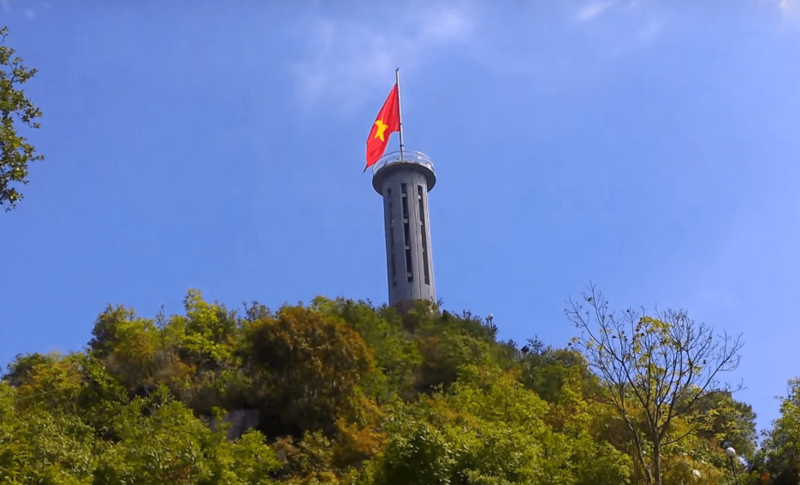 (Note: Depending on your state of health, you can continue cycling to Hoa Lu (8km from Tam Coc), otherwise you can be transferred by private car). Overnight at hotel in Tam Coc. After breakfast, drive to Ha Long Bay (200 kms - 4h drive) through Nam Dinh, Thai Binh and Hai Phong provinces. Arrive in Ha Long around noon, board a transfer junk to the cruise in Halong Bay that allows you to explore every corner of the Bay. Lunch and dinner of fresh seafood on board. Overnight on cruise in private cabin. - 12: 00-12: 30 Boarding the cruise. - 15: 30-16: 30 Kayaking in the hidden areas of the Bay and around Luon Cave. - 16:30 Return of the cruise. - 16: 30-17: 30 Cruise to Soi Sim Island. Swim or rest on the beach of Soi Sim or climb to the top of the island for a panoramic view of Halong Bay. - 17:30 Back to the cruise for the shower. Rest or admiration of the sunset. - 19:00 Dinner with typical Vietnamese dishes. - 20:30 Participate in evening activities: movies in the dining room, card games, squid fishing. Overnight on board. * Note: The cruise program could change depending on each cruise. Breakfast on board then continue your cruise in Halong Bay. Landing around noon. Back to Hanoi. Arrive at your hotel in Hanoi around 16:00. 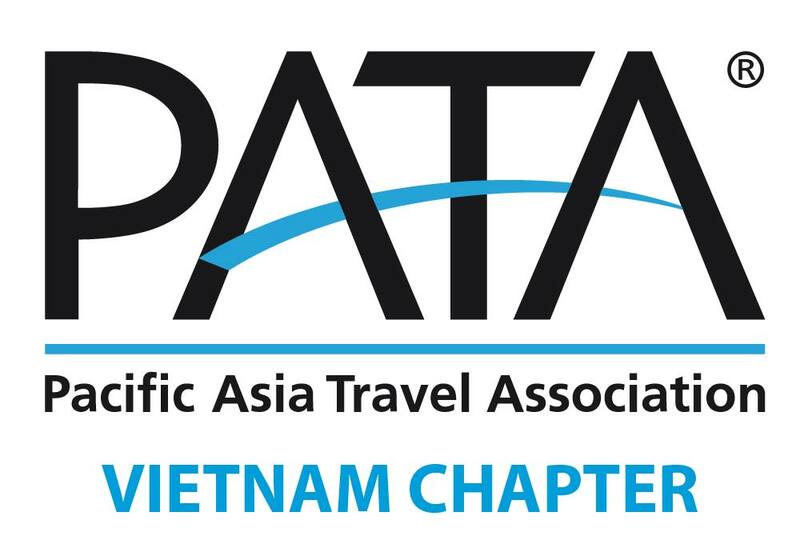 Other option: Transfer from Halong to Hanoi Airport (180 kms - 3.5h drive) for domestic evening flight to Hue / Danang / Saigon or international flight. - 06: 30-07: 00 Start the day with Tai Chi or take pictures of the Bay. - 07: 30-08: 30 Breakfast at sunrise. - 08: 30-09: 30 Discover Sung Sot Cave - the most beautiful cave in the Bay. - 09:30 Back to the Junk.Uninstalling cabin. - The program may be changed due to local weather condition or other unexpected reasons. - Prices may change if the program changes. - Museums in Vietnam are closed every Monday. - Programs do not include early check-in or late check-out at hotels. In Vietnam, rooms are normally available from 14:00 and must be vacated by 12:00. For an early availability or a late release, it will then be necessary to make the request with additional expenses.